This nutrient rich essence restores, hydrates, firms and tones your skin while protecting from environmental conditions. 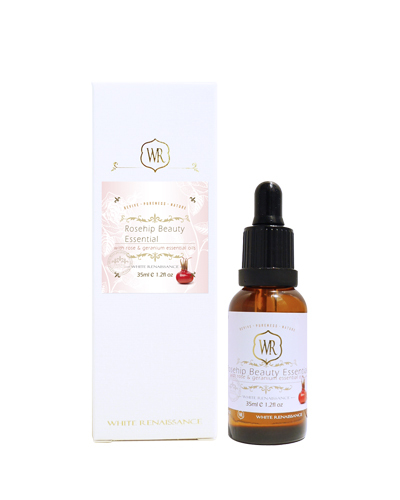 Boosted with Coenzyme Q10 aids cellular regeneration and repair; Rosehip helps to improve skin moisture level; and Horse Chestnut to provide instant lift and glow of skin. Direction: Smooth a small amount over your face, neck and decollete in morning and night. 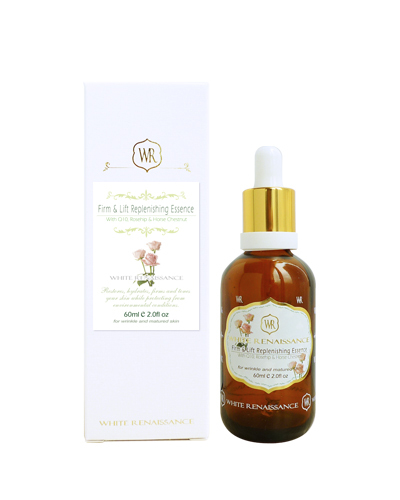 Ingredients: Rose Water, PEG-60 Almond Glycerides, Sorbitol, Coenzyme Q-10, PEG-150 Distearate, Horse Chestnut Extract, Rosehip Oil, Glyceryl Caprylate, Rosehip Extract, Vitamin E Oil, Xanthan Gum, Green Tea Extract, Geranium, Frankincense, Ylang Ylang, Lemon Essential Oil, Citronellol, Lactic Acid, Sodium Hyaluronate, Caprylic/Capric Triglyceride, Beta Carotene.